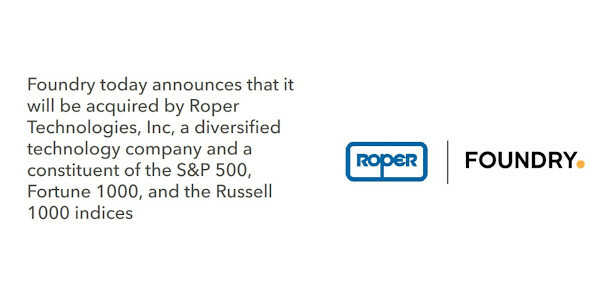 Diversified tech firm Roper Technologies is to acquire Foundry, developer of key CG industry tools Nuke, Modo, Mari and Katana, from its current owner, Hg, in an all-cash transaction valued at £410 million. The deal is expected to close in April 2019, subject to regulatory approval. The buyout would be Foundry’s third change of ownership in eight years, Hg having acquired the company from fellow equity firm The Carlyle Group in 2015. Foundry was then valued at £200 million, less than half its current sale price. Hg senior partner Nic Humphries commented that the firm had “built on [Foundry’s] strong development capabilities to drive enterprise adoption” of its software. An Hg data sheet from last year stated that Foundry’s “core Nuke business is performing in line with our investment plan, but existing non-Nuke products – particularly Modo – and new investment products are behind our initial plan”. Humphries also cited “revolutionary new products such as Athera”, Foundry’s cloud-based VFX platform. Foundry’s own press release describes the buyout as a “substantial move that enables Foundry to remain an independent company”. Although Foundry appears to be Roper Technologies’ first acquisition in a graphics-related field, the firm owns a portfolio of companies developing specialist software for other industries. Business as usual in the short term? If The Carlyle Group and Hg’s ownership of Foundry is anything to go by, users of its products will probably see little immediate change to their development schedules. The Carlyle Group to sell The Foundry in 2015?